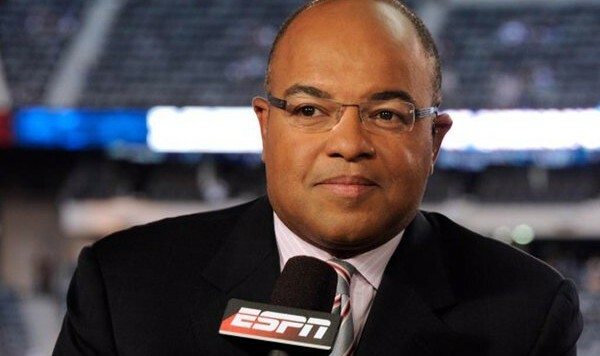 If you’re a sports fan, you’ve likely heard by now that ESPN play-by-play announcer Mike Tirico is leaving the network for NBC. Tirico has excelled at calling a wide variety of sports over the past two-plus decades, but what he’s most known for – and the likely reason he’s making this move – is football. For the past 10 years, Tirico has called Monday Night Football, the last seven of which he’s spent with the colorful and personable Jon Gruden. It seems likely Tirico will call the five Thursday Night Football games NBC recently picked up. But beyond that his role seems to be that of a long-term replacement. Al Michaels will continue to call Sunday Night Football through at least the 2017 season. Michaels will be 75 by then, but he doesn’t seem to be slowing down at all. Tirico could replace another broadcasting legend in Bob Costas. The long-time Olympic host is now 64 years old. But neither of those guys seem ready to go just yet and Tirico will need something to do in the meantime. After all, Tirico’s greatest strength is his versatility – he could call basically any sport and do a damn good job at it. He wasn’t exactly known for taking long stretches off. So, getting to the point, it would be awesome if Tirico called NHL games, if only temporarily. I have no inside information on this and I’m not even sure if he’s interested or wants to do it. But I want him to do it. And any hockey fan who pays attention to that sort of thing should too. Speaking from an American perspective, the national play-by-play landscape is pretty bare. I don’t get Canadian stations so I’m not familiar with Bob Cole and whatever other treasures they’re hiding up there with their poutine and free health care. In America, we have Doc Emrick. He’s a joy to listen to and I’ll miss him when he retires. But like Michaels and Costas, that retirement is likely rapidly approaching. Emrick will be 70 this summer. He’s as good as ever, but it wouldn’t be any surprise for him to hang it up or take on a reduced role in the near future. I’m not sure what the succession plan is here. At the moment, Kenny Albert is the “B Team” play-by-play guy. He’d be a capable, but uninspired choice. Beyond that, NBC would have to scour local broadcasts for up-and-coming talents. If we’re being realistic, one of those two things is likely to happen. But it doesn’t hurt to hope. When the Tirico news broke, it occurred to me NBC now had three all-time great broadcasting talents at the network. I also thought about how few of the greats had called hockey. Michaels obviously called the “Miracle on Ice” game, but that was hilariously only the second hockey game he had ever called. How is that Steve Levy is the biggest mainstream voice to call a hockey game (college, at that) in the past decade? Why have so many of the all-time greats spent so little time covering hockey? Maybe it’s the game’s relative unpopularity. Maybe it’s because so few regular season games are on national TV in American. Regardless, NBC has an abundance of superstar broadcasting talent, another slate of regular season and playoff games starting in October 2016 and an aging mainstay. The timing has never been better. Please, NBC, let Tirico call NHL games. At the very least, it could be a creative way to cut down on Pierre McGuire’s mic time. Former below-average winger. Current hockey blogger and Sabres fan. Fan of advanced stats, sabermetrics, analytics or whatever you'd like to call them. Brett Hull's foot was in the crease.